Fairfax Little League is really two (2) separate leagues: "American" to the North and "National" to the South. 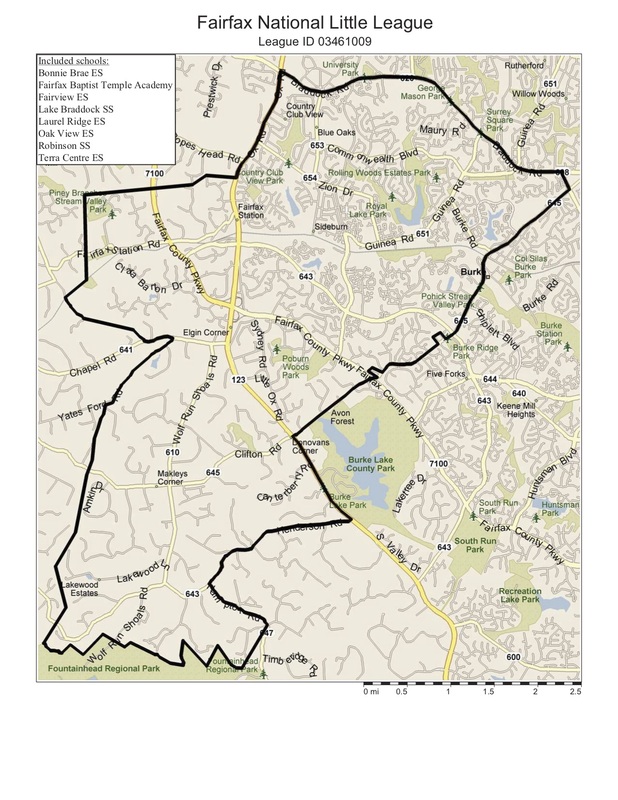 The map below shows the perimeter boundary and the east-west dividing line which runs west down Braddock Road to Rt 123 (Ox Rd), then south on Rt 123 to just south of Popes Head road then west through unpopulated areas following a creek to and just past the Fairfax County Parkway and back to Popes Head Road. How to determine your league: Find the approximate location of your home on the map below (click on the maps for a larger version). If it appears you live on the border: Contact the registrar for a determination. If you live "Outside the Fairfax Little League boundaries": please do not complete registration. You should first contact the local little league where you live and register to play in that league. 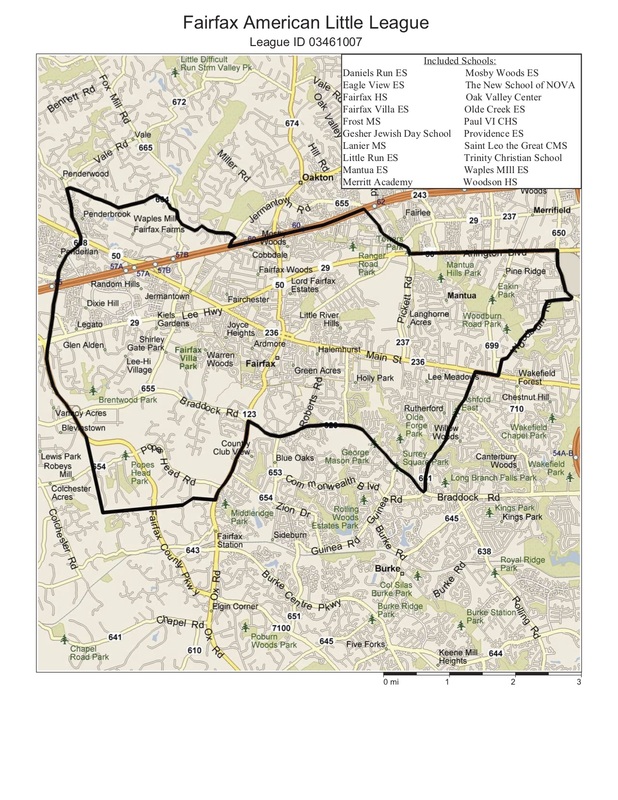 If you are unable to determine which league you live in by using the below map please contact Fairfax Little League by sending an e-mail to: with the following information and we will help you determine which league you belong to: your name / phone number / child’s name / child's birth date / school child attends / your home street address.